We found a new large-scale instability, which arises in the rotating conductive fluid with small-scale turbulence. Turbulence is generated by small-scale external force with a low Reynolds number. The theory is built simply by the method of multiscale asymptotic expansions. Nonlinear equations for vortex and magnetic perturbations obtained in the third order for small Reynolds number. It is shown that the combined effects of the Coriolis force and the small external forces in a rotating conducting fluid possible large-scale instability. The large-scale increments of the instability, correspond to generation as the vortex and magnetic disturbances. This type of instability is classified as hydrodynamic and MHD alpha-effect. We studied the stationary regimes of nonlinear equations of magneto-vortex dynamo. In the limit of weakly conducting fluid found stationary solutions in the form of helical kinks. In the limit of high conductivity fluid was obtained stationary solutions in the form of nonlinear periodic waves and kinks. Reshetnyak M.Yu. Thermal Convection and the Dynamo during Rapid Rotation // Izvestija. Physics of the solid Earth.-2007. - Vol.43. - No.8. - P.642-652. Rudiger G. On the α - Effect for Slow and Fast Rotation // Astron. Nachr. - 1978. - Vol.299. - No.4. - P.217-222. Gilbert A. D., Frisch U., and Pouquet A. Geophys. //And Astrophys. Fluid Dyn.-1988.-Vol. 42.-P. 151-167. Krause F., Rudiger G. On the Reynolds stresses in mean-field hydrodynamics. I. Incompressible homogeneous isotropic turbulence // Astron. Nachr. – 1974. Vol. 295. - P.93-99. Chkhetiani O. G., Moiseev S. S., Petrosyan A. S., Sagdeev R. Z. The large scale stability and self-organization in homogeneous turbulent shear fow // Physica Scripta. - 1994. - Vol.49. - P.214–220. Moiseev S.S., Rutkevith P.B., Tur A.V., Homenko G.A., Yanovsky V.V. Vortex dynamos in a helical turbulent convection // Sov.Phys.JETP.- 1988. – Vol. 67. – P. 294 -299. Lypyan E.A., Mazurov A.A., Rutkevitch P.B., Tur A.V. Generation of large-scale vortices through the action of spiral turbulence of a convective nature // Sov.Phys.JETP. - 1992. -Vol. 75.- P.838-841. Levina G.V., Moiseev S.S., Rutkevitch P.B. Hydrodynamic alpha-effect in a convective system // Advance in Fluid Mechanics.-2000.-Vol. 25.-P. 111. Tur A.V., Yanovsky V.V. Large-scale instability in hydrodynamics with stable temperature stratification driven by small-scale helical force//arXiv:1204.5024 v.1 (physics.flu-dyn.)(2012). Tur A.V., Yanovsky V.V. Non Linear Vortex Structure in Stratified Driven by Small- scale Helical Forse // Open Journal of Fluid Dynamics. - 2013. - Vol. 3 - P. 64-74. Rutkevich P. B. Equation for vortex Instability Caused by Convective Turbulence and Coriolis Force.// Sov.Phys. JETF. – 1993.- Vol. 77.- P.933. Smith L. M. and Waleffe F. Transfer of Energy to Two-Dimensional Large Scales in Forced, Rotating Three-Dimensional Turbulence// Physics of Fluids.- 1999.- Vol. 11.- No. 6.- P.1608. Smith L. M. and Waleffe F. Generation of Slow Large Scales in Forced Rotating Stratified Turbulence // Journal of Fluid Mechanics. - 2002. - Vol.451. - P.145 -168. Berezin Y. A. and Zhukov V. P. An Influence of Rotation on Convective Stability of Large Scale Distorbances in Turbulent Fluid // Izv. AN SSSR. Mech. Zhidk. Gaza. - 1989. - No. 4. - P.3. Kitchatinov L.L., Rudiger G., and G.Khomenko. Large –scale vortices in rotating stratified disks // Astron. Astrophys. - 1994. -Vol.287. - P.320-334. Frishe U., She Z.S., Sulem P.L. Large Scale Flow Driven by the Anisotropic Kinetic Alpha Effect // Physica 28D. - 1987. - P. 283 - 291. Rutkevitch P.B., Sagdeev R.Z., Tur A.V., Yanovsky V.V. Nonlinear dynamic theory of the α -effect in compressible fluid. - Kiev: Naukova dumka. Proceeding of the IV Intern.Workshop on Nonlinear and Turb. Pros.in Physics, 1989. 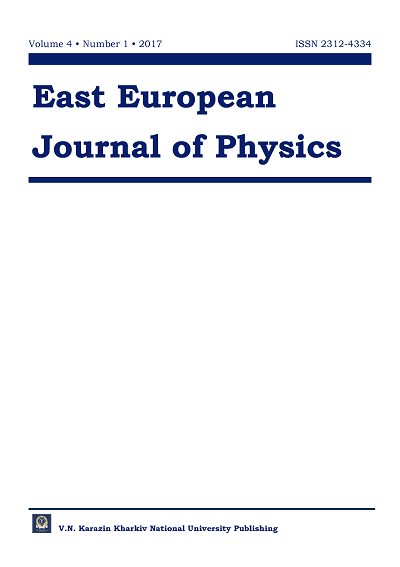 Kopp M., Tur A., Yanovsky V. The Large Scale Instability in Rotating Fluid with Small Scale Force // Open Journal of Fluid Dynamics.- 2015.- Vol. 5.- P. 128-138.